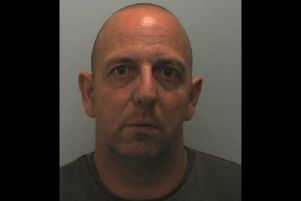 Police are appealing for the public's help in finding a Leamington man who is wanted on recall to prison. Imran Nsubuga, 23, from Leamington, was serving a two year sentence for possession of class A and class B drugs with intent to supply and possession of a bladed article. Imran Nsubuga. Photo supplied by Warwickshire Police. He has links to Coventry and the Blackfriars area of London. Nsubuga should not be approached. Anyone who sees him or knows of his whereabouts should call 999 immediately. Alternatively, information can be provided anonymously to the independent charity Crimestoppers on 0800 555 111.